What opportunities will 2018 bring for women? The need for greater respect and opportunities for women is becoming an ever more prominent feature of the public conversation. Longstanding advocates for women’s empowerment are feeling energized, while countless others — women and men alike — are being persuaded of the urgency of this task. 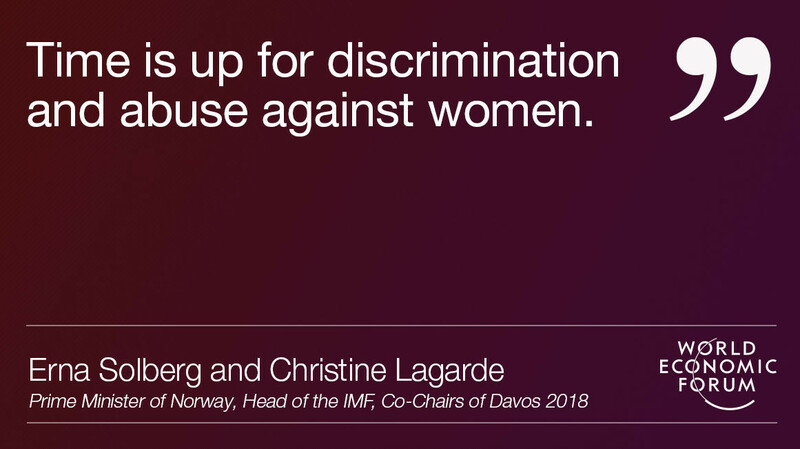 This year at the World Economic Forum the challenge of female empowerment is also firmly on the agenda, because giving women and girls the opportunity to succeed is not only the right thing to do but can also transform societies and economies. The economic facts speak for themselves: raising women’s labour force participation to that of men can boost GDP, for example, by as much as 9% in Japan and 27% in India. IMF research has uncovered myriad other macroeconomic benefits: reducing gender gaps in employment, as well as in education, can help economies diversify their exports; appointing more women onto banking supervision boards can challenge cozy group-think, thereby supporting greater bank stability and financial sector resilience; and tackling gender inequality can reduce income inequality, which, in turn, can drive more sustainable growth. In other words, across several dimensions, we must realize that women’s potential is “macro-critical”. Delivering on this may sound like a tall order, but it simply means making the most of everybody’s talents. This is a challenge for any country; a task from which every country would benefit. It is a universal mission. Some of the barriers holding women back are universal, too. Astonishingly, almost 90% of countries have one or more gender-based legal restrictions. In some countries, for example, women have limited property rights, while in others, husbands have the right to prevent their wives from working. Women in countries in fragile situations are at particular risk of discrimination and exclusion. Besides legal obstacles, there are barriers related to combining work and family life, education, access to finance, and pressures from society. Just as awareness of this critical task is growing, so we also believe that it is time to press ahead with concrete actions. Helping women stay active in the workplace while raising a family is key. In countries like Norway, for instance, affordable childcare and parental leave schemes have made it possible for both mothers and fathers to work. These schemes are costly, so why should governments provide them? Because it is an investment that pays off - women’s participation contributes enormously to economic growth. 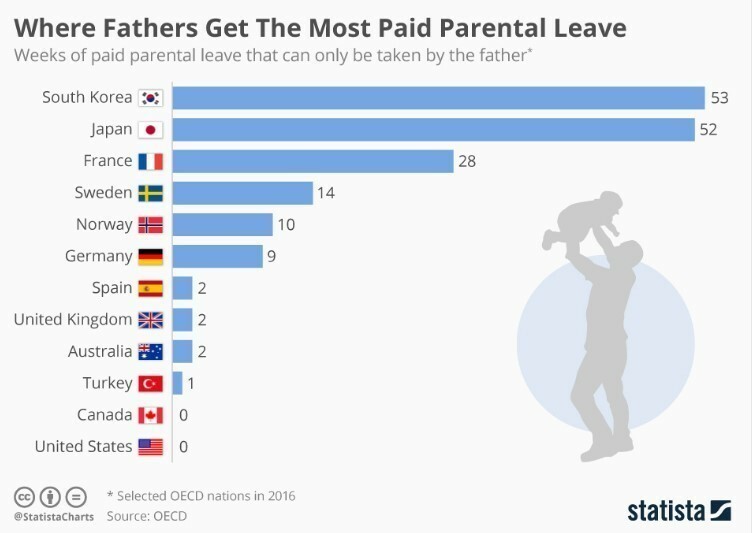 It has also helped to change the role of fathers - today, many men in Norway and beyond are sharing equally in parental leave and child rearing. This also enables women to pick up the mantle of leadership in work, business, and public life. Countries at earlier stages of economic development typically have other gender-related challenges. The most fundamental of these include access to water and greater sharing of household tasks between men and women. Education is also a key challenge - despite progress in reducing school enrolment gaps in primary education in many countries, gender gaps persist at secondary and tertiary levels. Girls’ education is crucial if women are to hold political and economic power in society on an equal footing with men. That is why, for instance, girls’ education is a priority in Norway’s international development efforts. Another key in many developing countries is to ensure that women have access to finance, enabling them to participate fully in the economy, including as businesswomen and entrepreneurs, which can, in turn, drive innovation and help societies to prosper. Which country will be the first to close the gender gap – and how? In these efforts, organizations like the IMF are committed to working with governments around the world to help women realize their potential. IMF-supported programmes in Egypt and Jordan, for instance, contain specific measures to empower women economically, including investment in public nurseries and better public transport safety. And given its importance for growth, IMF policy advice to member countries increasingly includes recommendations to support women’s labour market participation. Beyond policies, much of today’s conversation is about the wider social change that is also needed. And from #equalpay to #metoo and beyond, it looks like it’s coming. We take inspiration from those women, girls and - yes - men, who are speaking out against outdated views of women that, in different ways, hold all of us back. Leaders from around the world are meeting in Davos at a time of global economic recovery, a time when governments must do all they can to sustain this momentum and lay the foundations for long-term growth. Helping women make the most of their potential is a key part of this equation. Time is up for discrimination and abuse against women. The time has come for women to thrive.